Firmware V2.03 adds importants features to Charge Doctor’s V2.02. Please refer to this user manual for all CD shipped after June 2016, it replaces the now obsolete initial manual. At startup, displays “C-Dr” (blue) and firmware version “2.03” (red). Top display shows alternatively voltage (“61.9U”) and current in amps (“1.99A”). 3. Enable/disable auto-shutdown (“—A” = disabled). Enter adjustment mode by holding the button when powering on. Top led displays current parameter. With no button click, the screen is cycled through 3 avaibles parameters every 2s. Any click holds up the actual parameter 6s for adjustment before the cycling restarts. Adjustment mode is terminated and the CD gets back to normal mode if no click for more than 10s. – “Auto” : auto-shutdown mode. Bottom led displays the shutdown threshold. When the threshold is reached, current is cut by the CD and the charge session is ended (I=0.00A). The threshold is incremented by 0.1A steps (auto-cut by current mode) or 0.1V steps (auto-cut by voltage mode). Hold the button for fast then ultra-fast increment. Voltage and current threshold are stored in separate non-volatile memories. Important: disabling auto-cut can not be done in “parameter mode” only in normal mode (see above). – “Pr1” : parameter 1. Value = 1 => deep standby mode with Led display off at auto-cut. To power on, click button or disconnect/reconnect the CD. dn A : down A, auo-cut when charge current is below threshold. Default mode at first use. UP V : auto-cut when charge voltage is above threshold. This mode generally allows more accurate auto-cut, to be used on big batteries (>560Wh) when auto-cut by current doesn’t have enough resolution. dn V : down V, auto-cut when voltage drops below threshold. To be used only for discharge tests. Voltage and current are calibrated at +-10mV and +-1mA respectively before shipping. Avoid recalibration unless you have accurate instrumentation. Top led displays actual parameter. With no button click, parameters changes every 2s in a round robin schedule for all available parameters. Any click keeps the actual parameter 6s before the round-robin restarts. To quit this calibration mode and revert back to normal mode, power-off then on Charge Doctor. Charge-Doctor transmits data every 10s by serial 9600 bds protocol, TTL level, 8 bit data, 1 bit stop, no parity. Data are in ASCII format with separator = coma. The format is identical to the first version Charge Doctor, see the blog’s article on Graphic Display for steps to download and process data in realtime. N.B. Charge Doctor does not store data. For data logging, a PC must be connected during all the charge record. These two lines will be recorded in file “log.txt” but they are not parsable by the grapher KST so the realtime display will stop : KST is quite pricky as to the data format and any error will stop the graph updates. Data and graph should change in realtime in KST when new data is logged into “log.txt” by datalogger.exe so if KST’s display freezes, then “log.txt” contains errors. To remove errors, quit KST and edit “log.txt” using a text editor. Click “Stop logging”, UNcheck option “Append to file” then click “Start logging” in datalogger.exe => old file “log.txt” is deleted and replaced by a new blank file for logging, hence, without the uninterpretable header. Pictures of Charge Doctor V2, versions with GX16 connector (most electric monocyles, bike, hoverboard, bikeboard) and Lemo connector (Ninebot monocycle). This entry was posted in Charge Doctor, Reference on 7 November 2016 by hobby16. This entry was posted in Batteries, Charge Doctor on 1 December 2016 by hobby16. INMOTION unicycles have 20S batteries (nominal voltage 72V, charger voltage 84V) instead of the 16S classic topology on most other electric unicycles. Models V3 and V5 use the “square Lenovo” connector and model V8 uses the GX12-3 pin connector (same connector and same wiring as hoverboards). Charge Doctors for IMMOTION wheels are now available, in single-input or double-input versions. Warning, IMMOTION battery packs have less capacity than Gotways or King Song’s. So when using the CD-double-input, check that your setup does not charge at more than 1C (see article on “charge currents“). The CD’s usefullness is not only in allowing fast charging, it is mostly in the autocut function to automatically stop charging at 80% or 90% to preserve the the battery and considerably extend its mileage. V3 Lenovo 144 2 0.7C 1.5C to be avoided!!! *For a 2Ah battery, 1C charge corresponds to charging at 2A. On LiIon batteries, a <0.5C charge is considered a soft charge, a >1C charge is not recommended. This entry was posted in Divers on 24 November 2016 by hobby16. 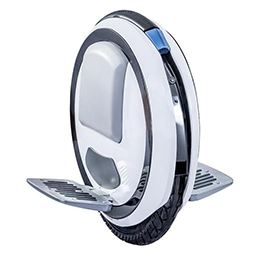 Most e-wheels have settled for the GX16-3 connector. Some though use a different format and the corresponding charger may be difficult to find and are mostly more expensive. A customized charger with the right connector can be made from a generic 2A charger with the wiring instructions below. IPS (Holtz, Zero…) GX16-4 2: V+ ; 4: 0V 67.2V 16S warning, same connector as above but different wiring! For this mod, I recommand using the fanless 2A generic chargers. Even if they tend naturally to warm much more than a (noisy) charger with integrated fan, they have many great features: available for various voltages, noiseless, compact and transportable… They allow fast charging at 4A by a parallel connection with the original charger using a Duo Charge Doctor (or even at 6A with the Triplex CD). Warning though, some 1.5A chargers are sold as 2A chargers. They have a smaller housing and are very hot when charging, thus unreliable in the long term. When buying it online, the vendor never details the housing dimensions and count on the buyers not checking the actual current to sell it. Any vendor with such dubious practices should be avoided anyway. Without stated dimensions, the difference can still be found looking at the distance between the rectangle and the grooves (see arrows on the picture). So don’t be misled, buy only the 2A charger with the bigger housing. Edit 4 dec/2016 : added image from Sylvain. Avoid the small housing charger!! Small housing charger rated at 2A, too much heat melted the plastic housing. This entry was posted in Divers on 20 November 2016 by hobby16. Charge Doctor with 3 inputs to fast charge big batteries on Gotway wheels or scooters (eg Dualtron or Speedway). A multi-sockets but still very compact solution to connect in parallel multiple cheap generic chargers. This entry was posted in Divers on 19 November 2016 by hobby16. Some newer mac os x versions may be in conflict with USB dongle’s driver (chipset = CH340) leading to a computer crash when the dongle is inserted in any USB port. The problem is solved by removing the old driver and installing a new one (more details and help here or here). A functional setup should see data coming from the Charge Doctor, check it using an ascii console set at 9600 bds. Data can be plotted using a grapher, for example “Plot2”. Probably not the best one because of its un-intuitive and ugly user interface but still good enough for the purpose. A free version exists (with some nag screens) and is downloadable from the App Store. attribution : images & data by Henrik M.
This entry was posted in Charge Doctor, Divers, Reference on 16 November 2016 by hobby16. How to adjust the autocut threshold on the Charge Doctor to stop charging at 80% or 90% of full capacity is a frequently asked question. First, some essentials about LiIon batteries: charging to 100% leads to maximum voltage over the membrane separating + from – in the battery’s cell. The higher voltage, the more stress to the membrane and that has an impact on the cell’s health and lifespan. By stopping the charging at 90% or even 80% of full charge (the lower %, the better), the battery’s useful mileage can be doubled or even tripled, giving a substantial total cost reduction. Charging at 80% also means 20% less range, something not always possible or pratical on small batteries. But on bigger batteries (eg > 360Wh), it is mostly not a problem. So whenever possible, just do it with the Charge Doctor, since charging 10x at 80% is always better than charging 8x at 100%. It should be ok though to charge to 100% and riding just afterwards since it means the battery has not been submitted to Vmax over a long period. That’s the same reason why storing the LiIon battery should never ever be done at 100%. The threshold default value is 1.00A, triggering, in most cases, the autocut at 90%. This threshold is an approximate value though since it depends on the charge current but also on the battery’s age. Fortunately, it doesn’t have to be accurate since the first goal is to avoid charging at 100%. Wether the autocut occurs at 80% or 85% doesn’t change the main picture. 6. if the 88% doesn’t fit your desire, change the threshold (by repowering the CD with the button pressed) and restart at 1. *Important : don’t forget to charge to 100% every 10 or 20 charges to enable cell-balancing, a vital requirement for LiIon batterie packs. To ensure proper cell-balancing, let the wheel rest one night or even 24h after charging, since riding would cause current outrush and a voltage drop that would cancel the ongoing balancing. On big batteries (>680Wh), when charging at 2A, current drops very slowly towards the end of charge (after about 80%) so the threshold resolution may be insufficiant to autocut at 90%. To get more resolution and a more precise autocut, switch to autocut-by-voltage mode. The current and voltage thresholds are stored in separate non-volatile memories so their values don’t change when switching between modes. 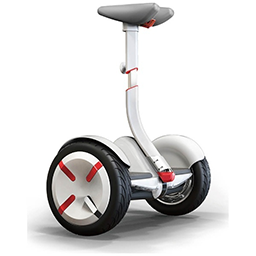 Voltage mode is less pratical since the threshold value depends on the battery type (12S on hoverboards, 14S on scooters, 15S on Ninebot wheels, 16S on most unicycles and even 20S on the Gotway MS3/1600Wh or on Inmotion…). This entry was posted in Divers on 12 November 2016 by hobby16. This entry was posted in Charge Doctor, Mod on 12 November 2016 by hobby16. This entry was posted in Batteries, Charge Doctor on 8 November 2016 by hobby16. This entry was posted in Batteries, Charge Doctor, Technique on 29 February 2016 by hobby16.